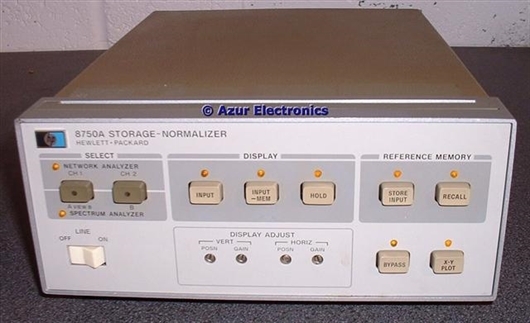 The HP 8750A Storage Normalizer was bought just to find out what it can do with either my Network or Spectrum Analysers! The original cost was $1,600 in 1980. The Operating Manual is available for download, but not the Service Manual. Interface Card plugged-in to Rear Panel. 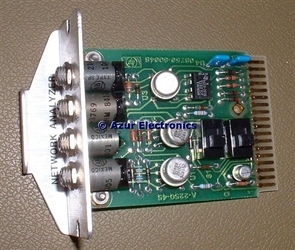 This card is labelled 'Network Analyser' with the part number 08750-60048. Bought the 8750A (S/N 2403A) on eBay UK. 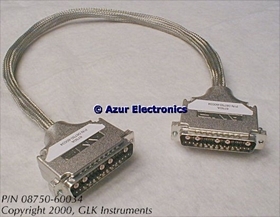 To connect the 8750A to the Network Analyser 8412B Phase-Magnitude Display, a special inter-connecting cable (08750-60034) is required. This is available from GLK Instruments for $160. Sadly, I do not have one of these cables so testing is held up until I find another solution! I received an email from Tim Webb at procurement@sonic.net who had two of these cables for sale. I bought one at a very fair price. Tim is a highly recommended seller on ebay (see silicon-valley-excess). Hopefully I will get some time to progress this project. Downloaded Operating and Service Manual (thanks Didier). 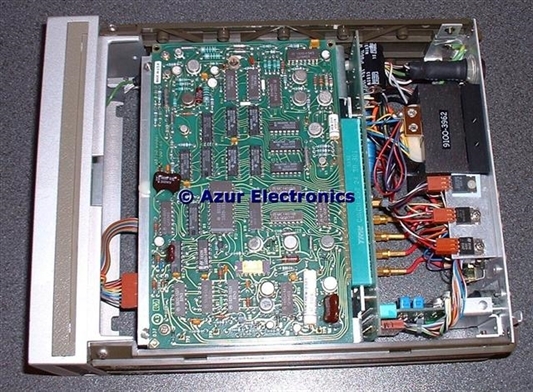 This describes the plug-in cards required: A5 08750-60005 Board Assembly, Network Analyzer Interface (although I have the later 08750-60048 version) and A5 08750-60009 Board Assembly, Spectrum Analyzer Interface. Parts Lists and Schematics are provided. 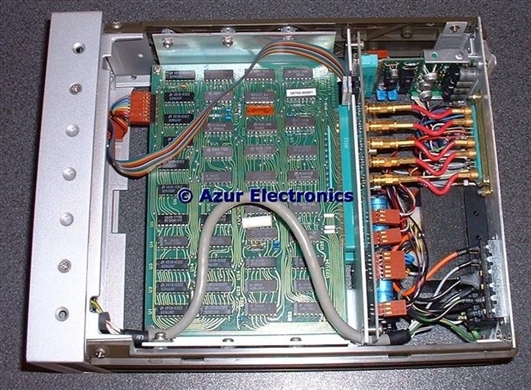 A bit more research implies that the 8750A can be used with an Oscilloscope display as well as a Spectrum Analyser. 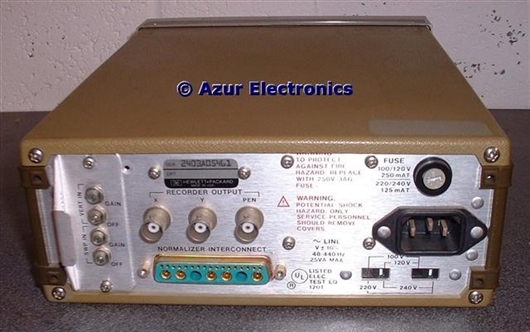 This needs the Spectrum Analyser Interface A5 08750-60009 Board Assembly and a Direct Interface Cable 08750-60008 which has the special D-type connector at one end and 5 BNC connectors at the other end. These 2 items are on my Wanted list, please Contact Me if you them for sale.